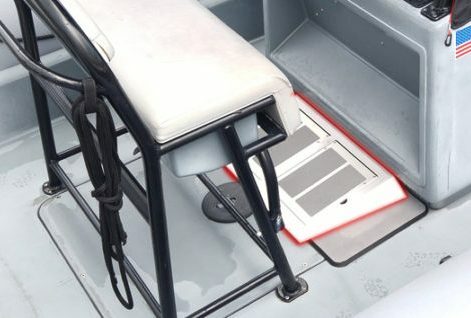 Sea Knees is a shock mitigation boat strategy that greatly reduces the impact on the knees and other joints in the body from boat shock caused by waves and chop. A boat shock mitigation strategy is essential for all crafts that undertake open sea transits or operate in rough or choppy water. About The SeaKnees Sea Trial in a 27 ft. Center Console took place on 2/15/2017 Atlantic Ocean off shore from the St. Lucie Florida Inlet. The seas were 3 to 5 ft. with short durations. The winds around 13 mph. Boat speeds were around 30 knots. Both the Mate and the Captain were fitted with 3 axis G force measuring devices. The below chart shows the Vector Sums of the 3 axis’s for each.